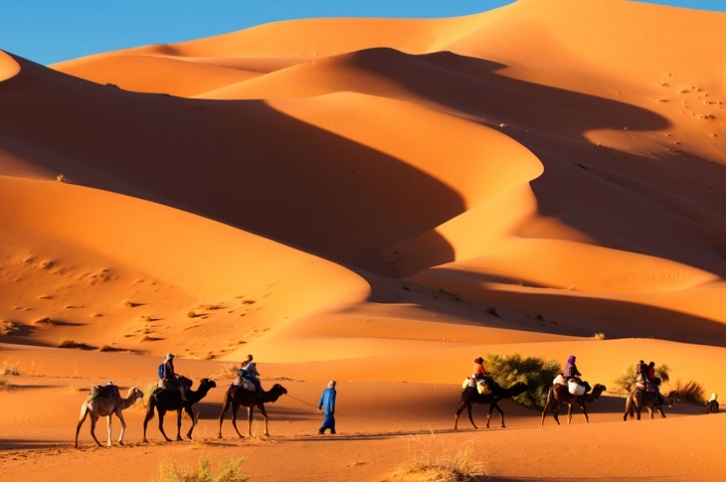 A camel excursion from Haven La Chance is the highlight of your Desert visit to Merzouga. An overnight camel excursion with a campfire dinner under the black sky with 1000’s of stars and falling meteorites is an incredible soul cleansing experience. Or an early sunrise/sunset ride to the dunes while sleeping at our hotel. The more adventurous can experience a longer 6 day camel excursion living the life of a desert nomad. This itinerary is flexible as your camel man knows what to do, A possible sand storm or sudden rain storm requires improvising- and he is an expert at that and knows what to do. All meals and water and tea are provided. 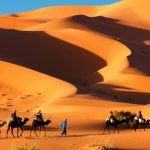 You begin your adventure of Camel Trekking Merzouga by collecting your camel in the afternoon by the Fossil beds outside of Erfoud. A short ride here to become familiar with your “ship” in the desert and bed down after a campfire dinner. Perhaps stay with local folks or sleep under the stars with your bedding that has been provided. 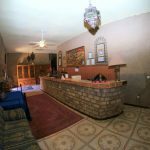 Next morning, you travel along the black desert with volcanic rock, pass by the dry river bed and the Tisserdimine Oasis is where you spend the night. 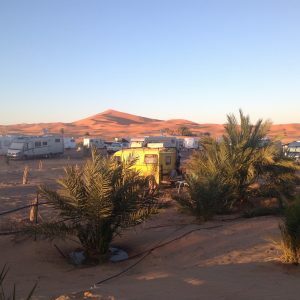 The next day, you are comfortable with your beast and can maneuver a bit in the sand dunes with your camel while looking for nomads to camp with. They roam around so no guarantees. Next day, continue south in the center of Sand dunes and sleep there. 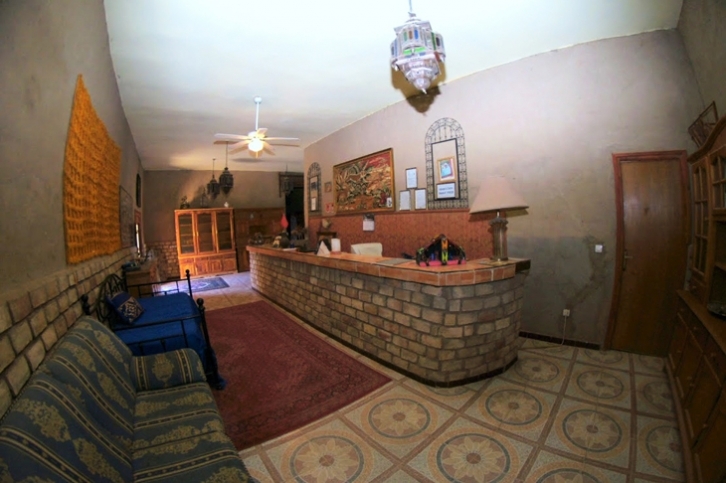 This day brings another Oasis in the Dunes where you rest behind the tall dunes of Merzouga. 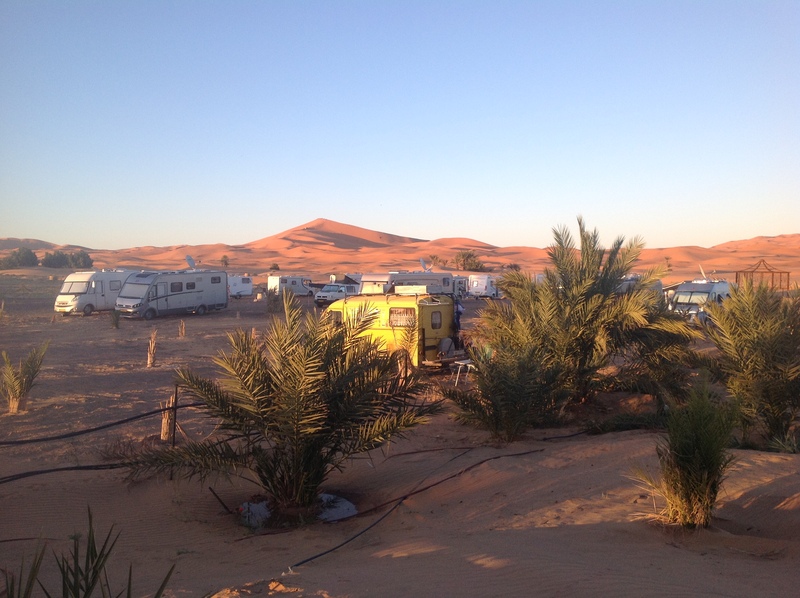 You visit the Mfes Lead mines, the village of Merzouga with its famous lake with flamingoes (not may these days) and camp near Haven La Chance – Desert Hotel Merzouga. This is a thrilling experience for the ones not willing to spend much time inside the dunes. 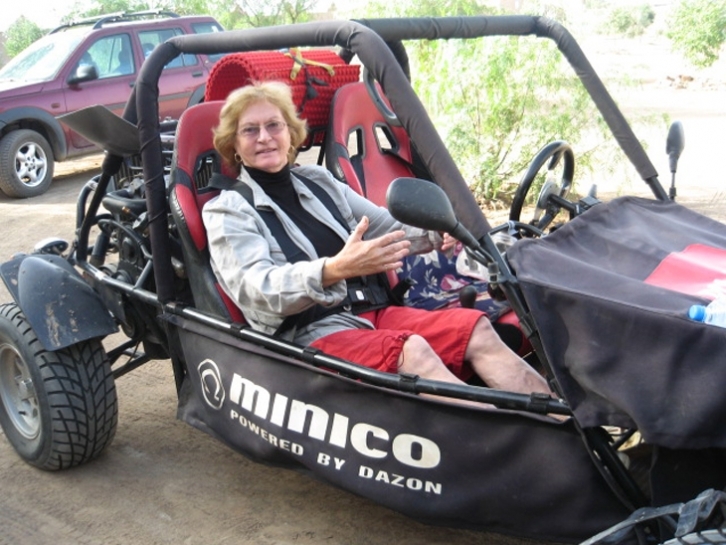 This option gives you the chance of cruising on camel back on the dunes just for a couple of hours. You’ll be taken by one of our employees on camel back, into the dunes and you’ll spot on the best spot there is to watch either Sun set or Sun rise. After this small desert tour you’ll return to the hotel, and if in the morning you will have a great breakfast ahead of you; if in the afternoon you’ll have a refreshing mint tea waiting for your arrival. 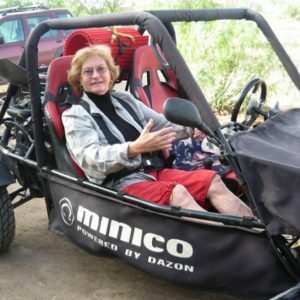 This option gives you the chance of cruising on camel back on the dunes for a few of hours and get to know the desert. If the weather is cool, you have a Nomad tent to sleep in or perhaps share a tent with nomads.